Demand generation programs have always had a place for finding leads that are qualified. Although the value of these leads can be completely different than those generated from appointment setting or inbound marketing, qualified leads meet a certain criteria set by either marketing or sales. 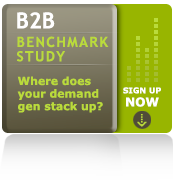 As with all offerings from Green Leads, our Qualified Lead Gen service is offered in a pay-for-performance model. Our appointment setting model has taught us that clients are ultimately satisfied when they receive exactly what they are paying for. Green Leads prides itself in being a pure Pay-For-Performance company. We generate Qualified Leads based on your criteria. If the leads meet this criteria and are accepted, that is when the service is invoiced. Think of qualifiers as litmus tests. They are check boxes that must be checked for a lead to be considered qualified. "With the focus we all have right now on building pipeline that will convert to revenue, quality leads are called for. We just don't have the time to waste managing anything but."